The TU838 MTU can have up to 16 I/O channels. 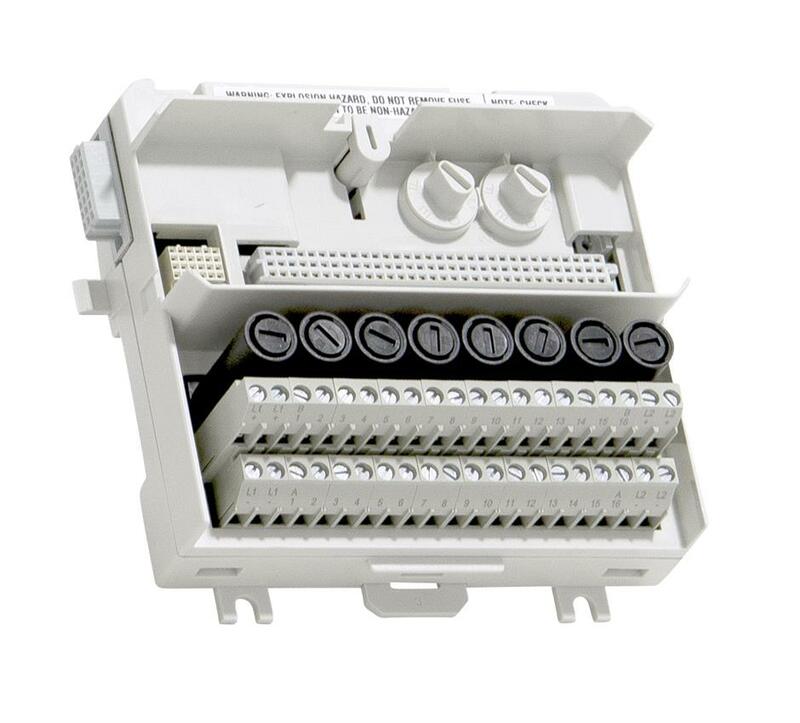 The maximum rated voltage is 50 V and maximum rated current is 3 A per channel. Up to 16 channels of field signals and 8 process power connections. Two channels share one fused transducer power terminal. Process voltage can be connected to 2 individually isolated groups, if the I/O module supports it.